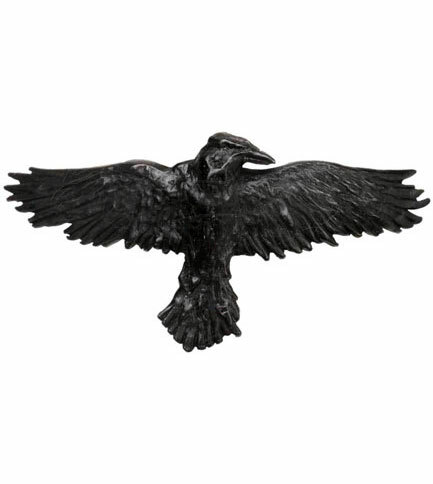 This black raven hair clip has his wings spread out ready to fly. It represents the 20th century un-dead (modern vampire). 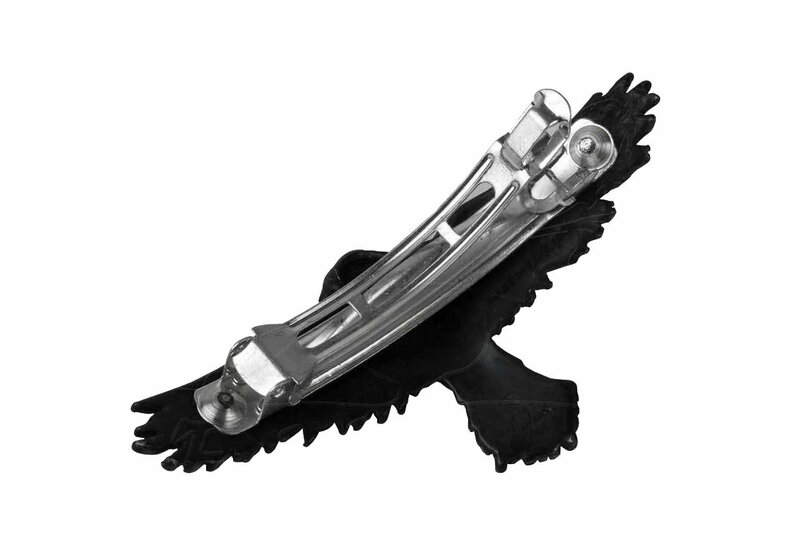 The clip is a sprung hair clasp that fits thin to think hair. 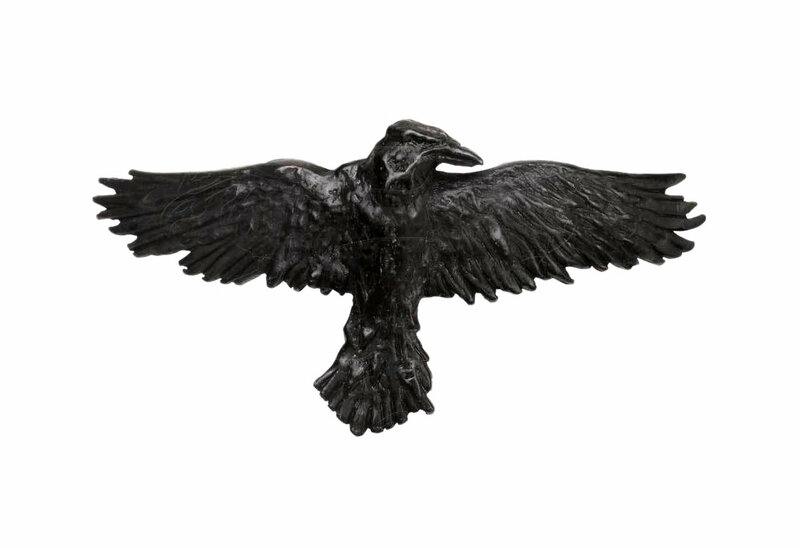 It is made of fine English blackened pewter. It measures approximately 2.95 inches wide, 2.95 inches high and 0.39 inches deep. By Gothic Alchemy.